Popular Vehicle Alert! This 2011 BMW X3 has been viewed by 90 shoppers in last 21 days. I would like to schedule an appointment for a test drive on the 2011 BMW X3 stk # BL731839. Want more room? Want more style? This BMW X3 is the vehicle for you. This BMW X3 35i M Appearance’s level of quality is not meant for just anyone. It’s meant for the person who strives for a classy, comfortable, and luxurious car. Take home this 2011 BMW X3 and enjoy the safety and added performance of AWD. This vehicle has extremely low mileage on the odometer, so while it’s pre-owned, it’s practically new. This BMW X3 35i M Appearance is in great condition both inside and out. No abnormal wear and tear. You will never have to worry about keeping up with traffic in this BMW X3 as it packs a beast under the hood. Where do you need to go today? Just punch it into the BMW X3 on-board navigation system and hit the road. This unbelievably rare BMW X3 35i M Appearance is a perfect example of The Best Man Can Build. This sport-luxury crossover has a lot of competition, but the X3 fares especially well when it comes to horsepower and performance from its 6-liter engine in either turbocharged or naturally aspirated form. BMW’s EfficientDynamics technologies boost the X3’s mileage to 19 mpg in the city and 26 mpg on the highway. The X3’s starting price is still well under $40,000. Estimated length of ownership 6 yrs. 2 mo. 1 yr. 7 mo. This vehicle uses an indicator light to alert users when it’s time to change the oil. Oil changes have been reported to CARFAX at least every 15,000 miles, which is in line with manufacturer guidelines. Track your service history for free at myCARFAX.com. Come check out this Used 2011 BMW X3 stk#BL731839 at Geneva Foreign & Sports. This BMW X3 features exterior styling and All Wheel Drive. 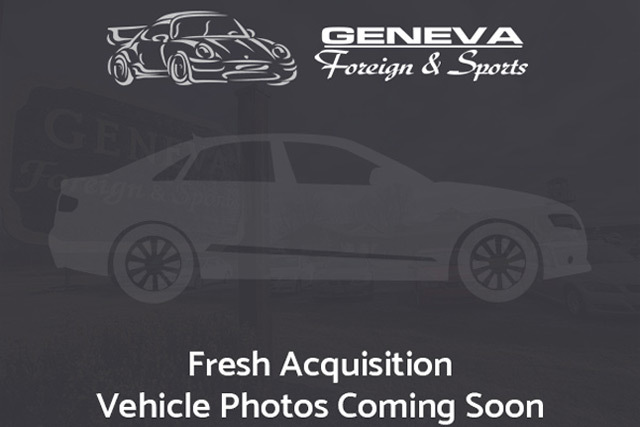 Stop by Geneva Foreign & Sports in Geneva, NY.